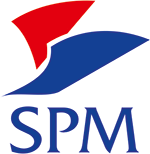 SPM serves both the residential and commercial market where it has particular experience of providing a turnkey solution for the cleaning and maintenance of exterior areas. SPM specialise in the professional cleaning and renovation of mono-block, tegula, concrete and natural stone driveways, forecourts, drives, patios, and decking. Using commercial high-pressure water equipment we thoroughly clean the surface, re-sand and seal the driveway or patio surface. We clean all tarmac and stone surfaces and timber decking. We use a rotary pressure washing system to ensure a deep clean without harming the surface of your driveway or patio. Contact us to request a free site survey and quotation. Call us on 0845 475 1963 and we’ll be happy to provide more information. Our staff always ensure the highest level of professionalism. All our staff are fully insured for any project in Scotland and Northern England. We always ensure that our employees carry out their work safely. SPM can complete large contracts anywhere in Scotland and Northern England. The most stringent quality control is always in place at SPM. Call us on 0845 475 1963 or email info@spmltd.co.uk for pricing.